There are so many decisions involved when choosing a new central air conditioning unit—SEER ratings, single-stage or two-stage, the square footage of your home or commercial facility, and how you live and work in the space. It can be overwhelming. Good news—the certificated technicians at Anderson Heating can help you make the right decision. Let’s start with the basics. While this term may be new to you, Seasonal Energy Efficiency Ratio (SEER) measures air conditioning cooling efficiency—essentially the higher the rating, the greater the energy efficiency. Higher efficiency obviously reduces the energy bills, but these units also tend to be a bit more expensive. A single-stage air conditioner operates at one level—full blast all the time, which will work quite well for smaller homes and businesses. A two-stage model operates at a lower level for milder days and at the highest level on those really hot days. These models also tend to cost more, but will reduce energy costs because they only operating at the high level when needed. 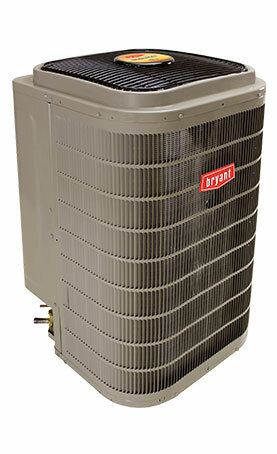 In addition, you need to be sure your air conditioner is properly sized to handle all the rooms in your home or commercial building, while still allowing flexibility. Confused? Eliminate all the guesswork by working with the experienced technicians at Anderson. Our technicians are up-to-date on all the latest specifications, requirements, and energy-efficiency ratings. They will explain what it all means, and can guide you through the selection process. 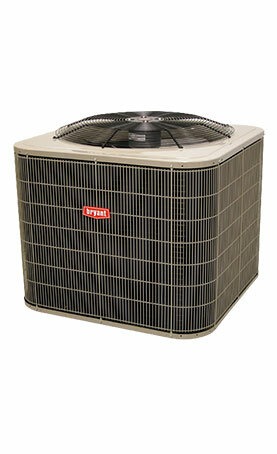 While choosing a new A/C unit is important, the installation process is even more important. 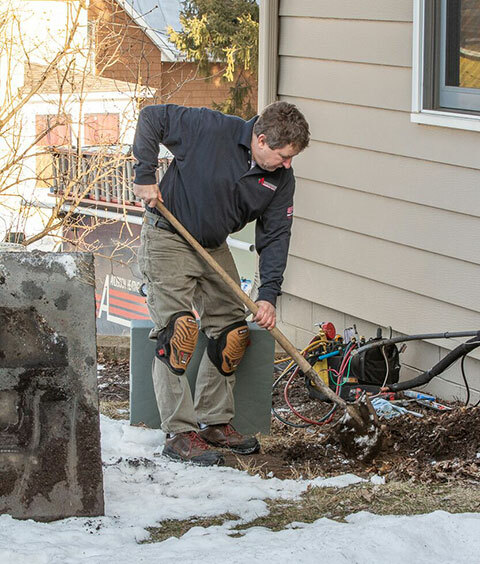 Our technicians receive ongoing education, so they understand all the codes and requirements, and work quickly to get your new install up and running quickly. If we are performing a new furnace and air conditioning installation through new construction or a remodel, we craft your ductwork in-house, which means it is perfectly sized for your space. Other companies create the ductwork at your location during the install, which means they are “going by the seat of their pants.” This could mean your ductwork has odd angles that could impact airflow. Maximum airflow is what you need to make your system work more efficiently—and we deliver that every day. With Anderson, your new system will be installed quickly with custom ductwork and minimal disruption to your home or business. In addition, our technicians earn great reviews for their friendly service, and respect your space and time. Why Choose Anderson Heating for an Old or New Construction A/C Install? Our technicians take the time to learn about your family’s or business’s unique comfort needs and budgets, so we’re able to suggest the perfect match. They also receive extensive, ongoing training regarding different A/C units and their requirements, so they can provide you with the best advice. 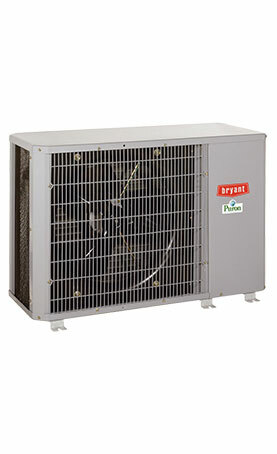 We are a proud Bryant® dealer with a vast variety of models to suit almost any need. And since most new air conditioners are incredibly energy-efficient, you could save up to 30 percent on your energy bill—a true win-win. We also offer maintenance to ensure your unit runs smoothly year after year. And, when our techs come to perform routine service, they offer advice that will help extend the life of your unit. 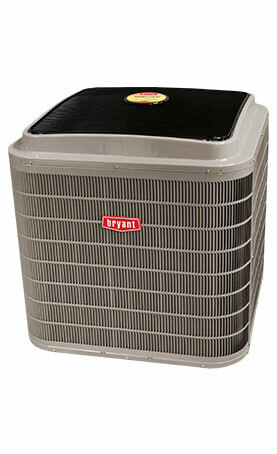 Are you unsure whether you need a new A/C system or just a repair? Our company’s foundation is built on providing honest and reliable guidance. Call us at 715-549-6297 or 651-430-0685 to schedule an appointment.